In my continuing effort to learn App Inventor for use in computer science education, I used the MoleMash tutorial here to create a Whack-A-Mole-like game where a mole appears and you have to whack him with a mouse click to score. The tutorial is very straight forward if you have followed other tutorials and built a few apps already. This one expands on earlier ones, in particular, showing how to create a procedure to be used over and over again so you don’t have to build up the same steps again and again. This is a very useful step in any programming education. My app worked fine, but I always like to take a tutorial and make it mine. So as I was playing my Whack-A-Mole game I tried to think of a way to change it. I thought of the Dr. Who Weeping Angel that came closer to you when you were not looking at it. So I decided to change my game so the Weeping Angel would move at random, like the Whack-A-Mole, and also get closer. Tapping the angel would send it back. I wanted to figure out how, when the angel filled the screen, that “YOU’RE FROZEN!” would appear to show that you lost the game, but I couldn’t figure it out. Maybe as I learn more I’ll be able to add that to the game. 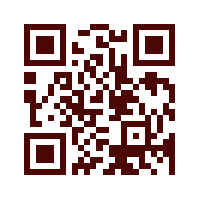 Here’s the QR code for the game if you want to play it. It only works on Android devices.